After the much bigger blocks for the Wanderlust and Globetrotting BOMs, this little block was a welcome break! 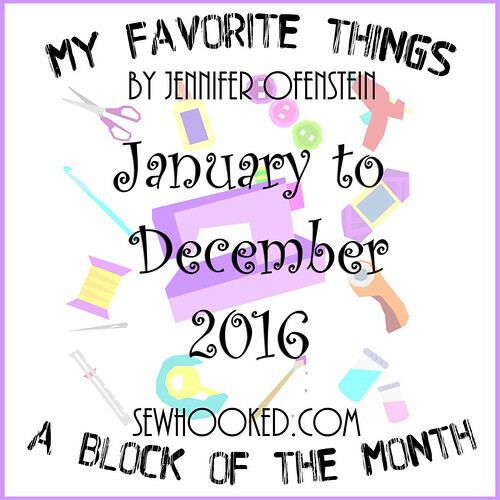 The February My Favourite Things block is buttons. I’m making the 6 inch blocks. I particularly like that all the pattern pieces fit on a single sheet of paper when I’m printing them – that to me is a clear sign that it’s not too hard!! I stuck to the colours in the pattern example, which I think makes it nice and bright. The March pattern will be released today. I wonder what it will be!